Proper nutrition and diet is essential for any athlete, especially one who is performing at the professional level. There’s a reason why top level athletes keep trainers, nutritionists and physios around in order to ensure they are capable of performing at the optimal level in their sport. But even in the off season, athletes who are serious about their careers will try to stay sharp and fit which means keeping good diet habits. 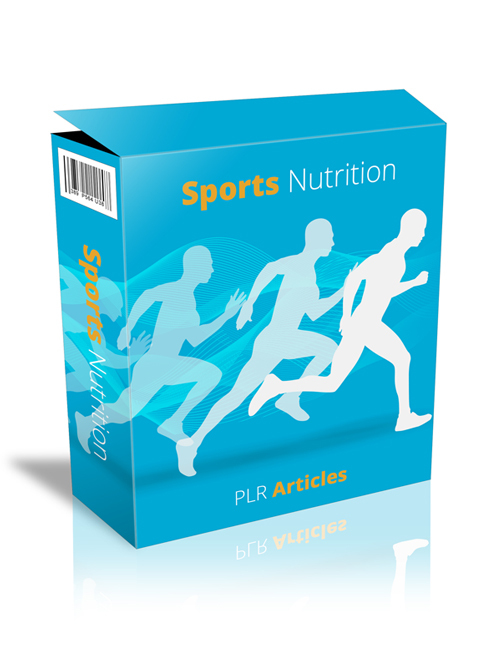 These plr articles cover in detail the subject of nutrition in sports including protein and foods, exercise regimens, increasing energy, supplements and more. Obviously diet and nutrition play a big role in sports like tennis, football, hockey, athletics, etc. There’s a lot of responsibility on the part of the athlete to be able to perform under pressure, especially those enjoying big time contracts. True winners don’t take shortcuts. And any young athlete who dreams of being in the big leagues or the pro level needs to start from the very first phase.